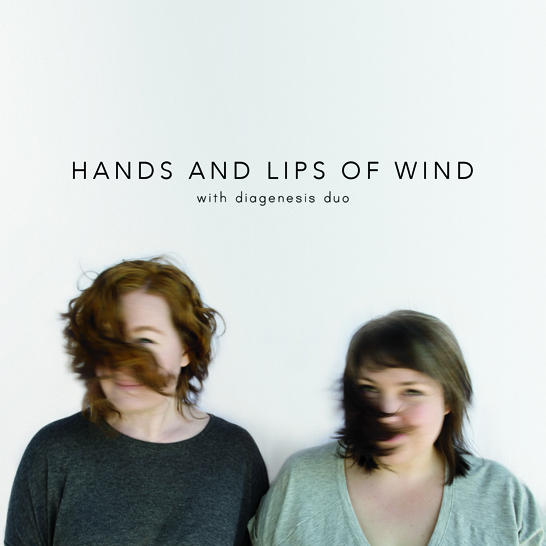 With their debut CD, Hands and Lips of Wind, Diagenesis Duo combines abstract textures and extended techniques to create an intertwining performance and intimate timbral experience. Hands and Lips of Wind features works commissioned from the duo’s close collaborators, including the album’s title track, Hands and Lips of Wind, by Mischa Salkind-Pearl, con mortuis in lingua mortua by Stephen Lewis, and an arrangement of Travels by Adam Scott Neal. Also on the album are Harrison Birtwistle's exquisite miniatures, Nine Settings of Lorine Niedecker. The album was funded by the University of California San Diego Recording Grants Program and was recorded at the Conrad Prebys Music Center’s recording studios.